Home improvement stores make growing a healthy lawn seem so simple. Purchase this product for the perfect lawn! However, there is no such thing as a one-size-fits-all fertilizer and lawn treatment product. 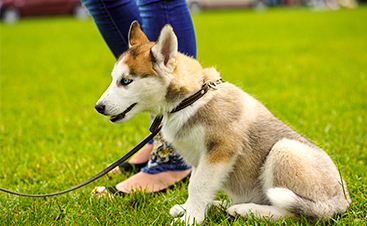 Just as people differ and require different nutrients, so do lawns! If you have been asking yourself “what is the best soil for my lawn?” you will benefit from soil testing to ensure you are feeding your lawn the right fertilizer. The good news is, you have come to the right article! Here, we will discuss soil testing and how it will help you purchase the right fertilizer from your local farm supply store! The reason we fertilize our lawns is to help improve the quality of the soil to make the environment better for plants such as grass and flowers. However, how do you know what you should be feeding your lawn if you do not know what currently exists? Many home improvement stores will attempt to convince you that you need a certain product to ensure the best growth for your lawn, but this is simply a sales gimmick for those who do not know what their soil needs. Soil testing is important because it allows you to get a clear picture of exactly what your soil already contains so you know what it is lacking and what you should add. What does soil testing measure? A soil test will include several measurements including pH and levels of nitrogen, phosphorous, and potassium. The pH level of your lawn will affect how hospitable the soil is to growing vegetation. If your lawn is too acidic or too basic, it will not allow plant growth to take place, and it could easily be worsened by adding fertilizer that will only exaggerate the toxic levels. Nitrogen is a critical plant nutrient that helps promote growth. Nitrogen can easily be washed away by rain or sprinklers. Both of these factors have led it to be the leading ingredient in many fertilizers. However, too much nitrogen can easily burn your vegetation. 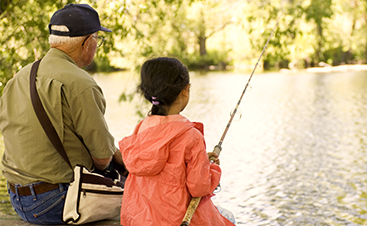 Phosphorous helps to strengthen roots and protects plants from disease. Too little phosphorous can leave your lawn susceptible to rot and decay. Potassium promotes growth and plant reproduction. Soil testing will allow you to find out the existing levels of nutrients to better plan your fertilizer needs. 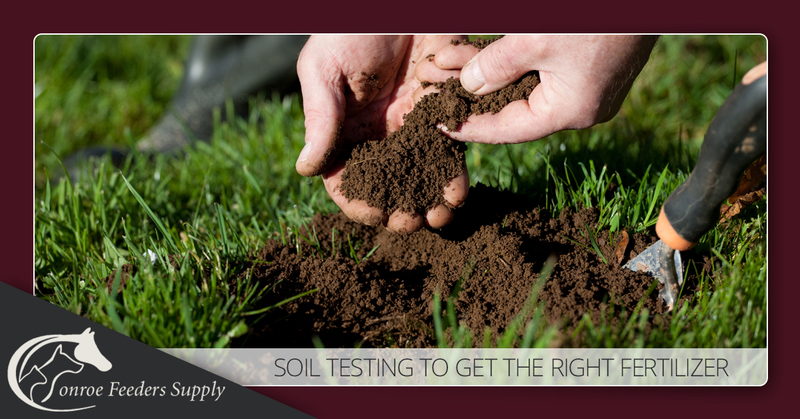 Testing your soil is fairly simple and only requires you to collect dirt samples. For best results, you should collect dirt from six to eight inches below the surface and collect several samples from various places in your lawn. Make sure that the tools you use are clean to prevent false results. You can purchase a do-it-yourself kit or consult your local lawn professionals to test and interpret the results. At Conroe Feeders, we offer a full-service fertilizer supply department. we can quickly test your soil and provide accurate results. Our farm supply experts can expertly interpret the results and recommend the right soil for your lawn. We have a variety of products to choose from and would never recommend something simply for the sale. We can also blend fertilizers to meet your lawn’s exact requirements so that you can grow a strong, healthy lawn or pasture. Whatever you are growing, we can make the right blend for you! Our soil testing is always a complimentary service, even if you don’t buy your soil from us. If you need help collecting your samples, just let our staff know! Fall is one of the best times to fertilize your lawn and apply weed killer. So, there is no better time to get to your local lawn maintenance company! For all of your lawn and feed needs in Conroe, visit us online or stop by our farm supply store today. farm supply store, fertilizer, lawn fertilizer, lawn treatment, soil testing, what is the best soil for my lawn?